Ask a question about 1241 Gulf Of Mexico Dr #402, or schedule a tour. 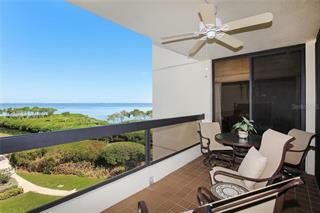 This direct Gulf front condominium offers the most outstanding view in Longboat Key's, The Water Club. The furnished Arlington floor plan has a private elevator leading to a beautifully finished 3 bedroom/4 bathroom residence. The luxu... more.rious master suite has his and her bathrooms and a spacious walk-in closet with built-ins. The living room is a showcase for the panoramic Gulf views featuring tall ceilings and floor-to-ceiling walls of glass. The expansive kitchen includes an island and breakfast nook. The split bedroom floor plan gives extra privacy with two en-suite guest rooms and direct access to the Gulf front balcony from each. 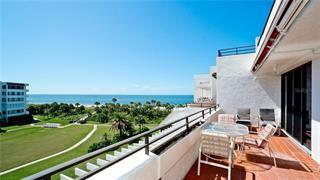 Three large sunlit terraces offer endless views of the sparkling waters of the Gulf and magnificent sunsets. 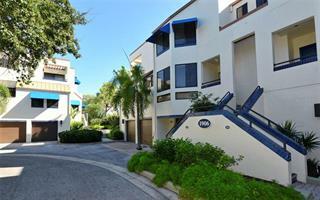 The Water Club amenity package is superior to any other condo on the key. Owning here gives exclusive use of a beautifully designed Clubhouse with club room and billiard table, library with fireplace, ballroom and private dining room, providing residents with additional living and recreational spaces. Amenities also include 4 Har-Tru tennis courts, a spa and fitness center, Olympic sized Gulf-side heated pool, 24 hour security, concierge service and magnificent grounds. 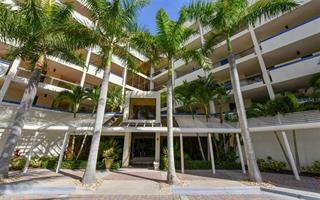 Located at the south end of Longboat Key, the residence is just minutes from exclusive St. Armand's Circle, the exciting waterfront of downtown Sarasota, the many attractions, theater and other cultural amenities of the city, and only 15 minutes to the Sarasota/Bradenton International airport.